For Ode Bertrand’s first solo show at the gallery, we are featuring works done between 1974 and 2016. Our connection with Bertrand goes back to 1989—I met her in her studio, where she told me she had long been a dancer before committing herself to painting. And she said her works would never be larger than the reach of her hand drawing a line. Line, stroke, and rhythm are the threads underpinning Bertrand’s artistic explorations. 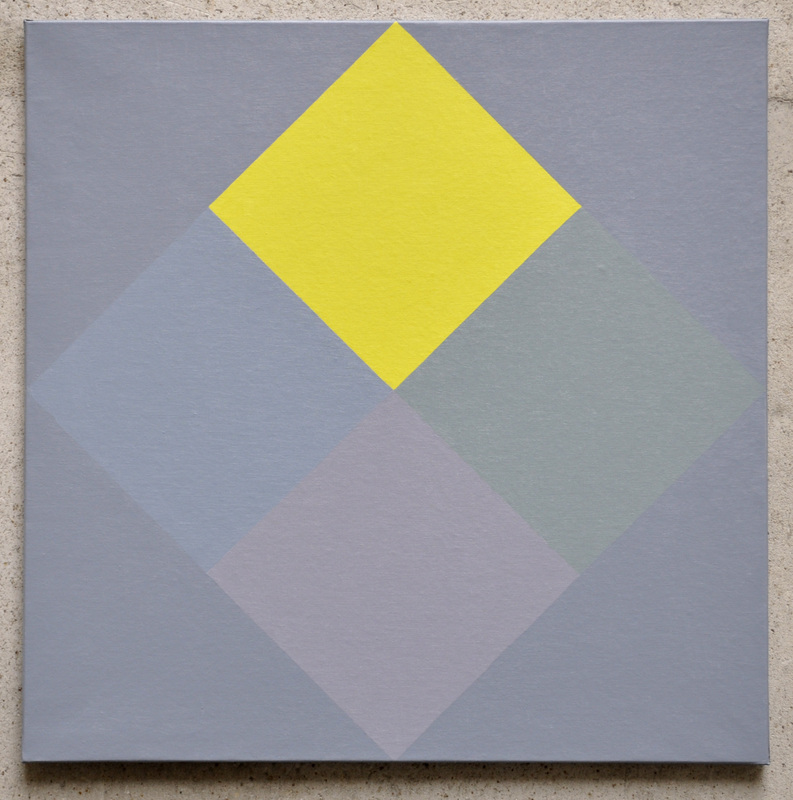 She immediately adopted geometric abstraction, throwing herself wholeheartedly down that path. She is the niece and sole disciple of Aurelie Nemours, whose acute eye was long her only tutor—solitude and meditation were Bertrand’s daily lot during her early years as a painter. She proceeds by “families of works,” as she likes to put it. Obstacles encountered while working are what trigger the next painting—and the series comes to an end once her eye is no longer surprised. Although she doesn’t make color her credo, it is occasionally present in her oeuvre, and it often underscores the line as interstice between two colors. She refers to her paintings as presences—what remains when everything else is removed—and she hopes they will be marked by a mystic presence. Impasto and dense layering are not part of her agenda, and yet some paintings are elaborated that way, more to refine the value of hue than to play on transparency (because there isn’t any transparency). What is certain, however, is that here we are a long way from flashy aesthetics, and that this show obliges the eye to take things slow.